Today’s post is the sixth installment of my A Guide To Series, which I firstly can’t believe it’s already onto the sixth one. Apologies if I’ve also said this before because I feel like I may of, but it’s just going so quickly! You can see all of them so far from primers to eyebrows HERE if you’d like a catch up! It wasn’t until I started to write this post that it hit me, there are a lot of eye shadows and finishes in the world. Of course I knew there are a lot but it’s actually rather overwhelming when I had a good think about the different versions. Hopefully this post breaks them down a little, but it is a very large topic to cover, so I can’t fit everything in but I’ve tried to go over as many of the more mainstream versions available. 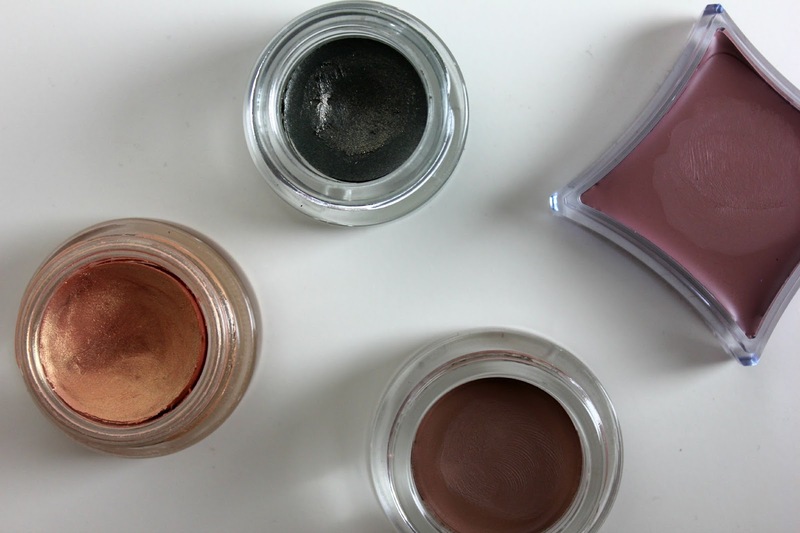 There’s probably two main types of generalized finishes to eyeshadows, especially drugstore, one of them being Matte. Although saying that its extremely difficult to find matte shadows in the drugstore a lot of the time, just due to the fact they cost a bit more to manufacture. I have found MUA to be a favourite of mine if I want a cheaper matte shadow though. Matte Shadows are my favourite to work with, as they are perfect to put into the crease, as they create better shadows on the eye. They are also great shades to blend with and especially with Illamasqua, really pack a punch when it comes to pigmentation. I prefer with a bright coloured eye to use a matte shade and then if I want to I can always layer with a glitter or pigment too. Another finish of shadow that’s probably one of the most similar to matte, is a Satin finish. It has that matte effect to it, with just a very subtle shine. They're also a little less chalky in constancy compared to matte and make a really great finish to blend with. I personally favourite the MAC Satin shades, especially Cork! The second most found type of finish that I've found in the drugstore is Shimmer Shadows, which is quite a broad spectrum. As I would probably class anything from frost to a more glitter packed shade in this category generally. 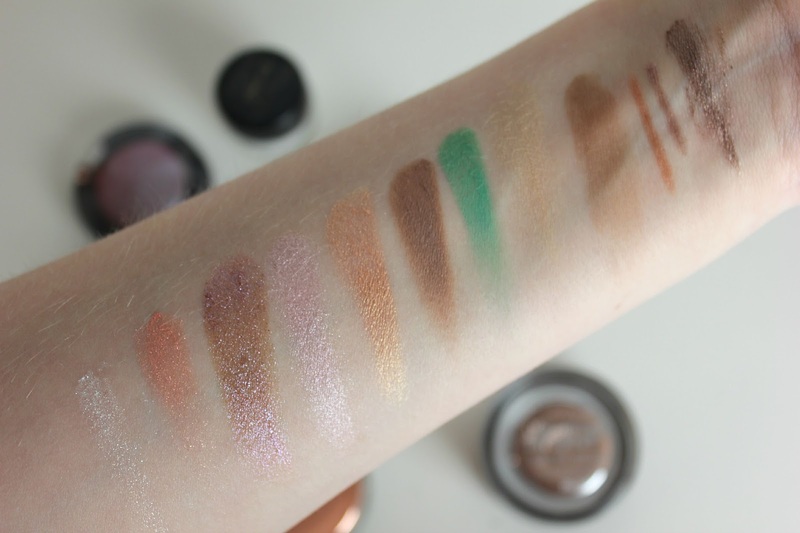 Most of the shadow selection in drugstores is going to be shimmer as its a lot cheaper for a company to make. A lot of the Urban Decay shades are known for their sparkle, they do tend to contain a bit of glitter, but their pigmentation is great and always quite creamy in texture. If you really want a bit of pressed sparkle the Moondust shades are the ones to go for! MAC do have what seems like a very large handful of different finishes to their shadows and to go through every single one would be a whole other post. However most of my collection from them is in the Frost family. These often can appear rather shiny, but this is down to the light reflecting pigments in them, due to that they’re not fantastic traditionally to wear in the crease, as it won’t create a shadow. On the other hand they make beautiful highlight shades, especially in the inner tear duct and also lovely all over the lid. A new and very loved member of my family is duo chrome shadow shades. MAC also does a few of these, which have always been great successes. However Topshop have joined the scene with the Chameleon Glow and they are fantastic if you want something a little different. Again they’re light reflecting, but these are more like shadow toppers in a way as they are a sheer finish, which can be built up, but it’s a very subtle beautiful way to wear this finish on its own too. 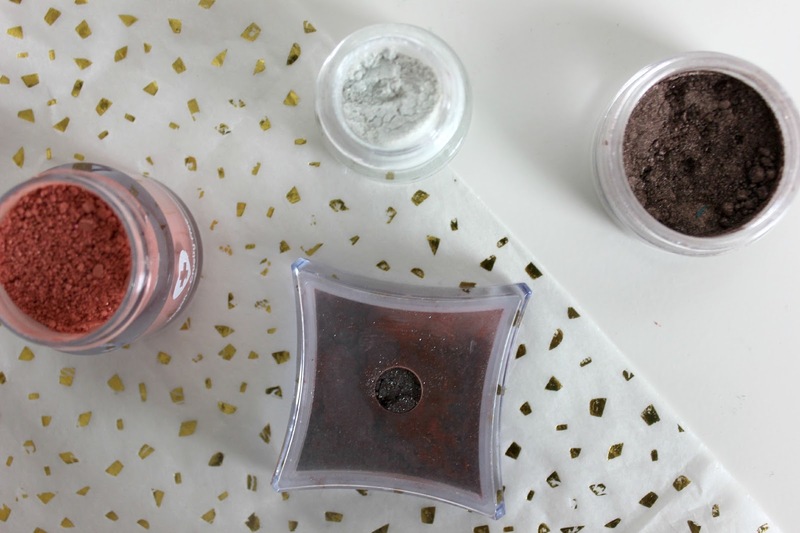 Pigments may be one of my favourite ways to wear eye shadow, they're usually the most pigmented option, hence the name and always have a bit of sparkle to add. They're also the most pigmented as they don't include the ingredient that holds a pressed shadow together, meaning you're getting the most from your colour. They are quite messy, but easily mastered and can easily be used wet too, which will really boost their colour. Some of my favourites include Sugarpill, who are great for your brighter shades, with a little bit of a sparkle. However if you want a sparkling almost glitter like pigment, I always reach for Illamasqua Pure Pigments. Most of their range is also more neutral in colour and are beautiful over other shadows and as highlights. Finally for a drugstore alternative, the Barry M Dazzle Dusts are always popular, although a little chunkier in consistency compared to higher end products. But they still look very pretty over the lid and as a inner corner highlight. 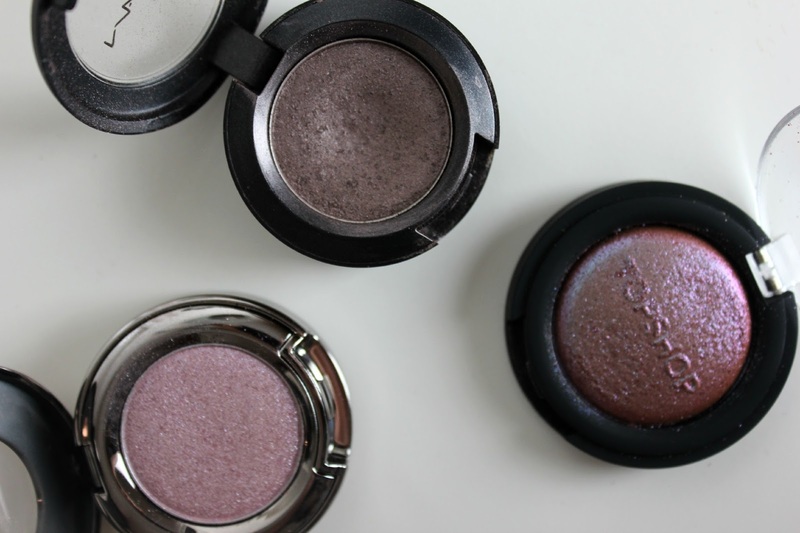 Mineral Shadows are one that I do forget about, but when I do remember, they're some of the most beautiful products to use. They are basically just like a pigment, but made from minerals instead. The ones that I have tried from ELF and Bare Minerals, are always creamy in constancy and have some of the best colour pay off. Cream Shadows are great for longevity, powder shadows will crease quicker than a cream unless used with a primer underneath. However you can still use a cream shadow as a primer underneath a powder shadow, I went into a bit more detail about doing that HERE. Some of my favourites are from Illamasqua, they do their Cream Pigments that can be used for an array of things and are a waxy constancy so don't set unless used with a powder. But they also have their Vintage Metallix, a perfect cream shadow to wear on its own, as once set this isn't moving. You need very little of the product and it can be buffed to your hearts content to do a beautiful quick smoky eye. A industry favourite are the MAC Paint Pots, these are fantastic as a base, but again on their own. They come in an array of finishes, from sheer, shimmer, to more opaque matte colours. These are another that are creamy to apply, but dry to more of a powdery finish, that will not budge. Then a very popular drugstore choice is from Maybelline, with their Color Tattoo's. I prefer the leather effect ones as they are matte. But the original line offers frosty finishes in a array of colours, these are also more of a gel formula, I find these set the quickest, but slightly harder to play with. Lastly are the Shadow Sticks, quick and easy to apply, perfect for if you're in a rush and want a sweep of colour quickly. I love these for lining the base of the lid near the lashes and blending it out up to the crease. 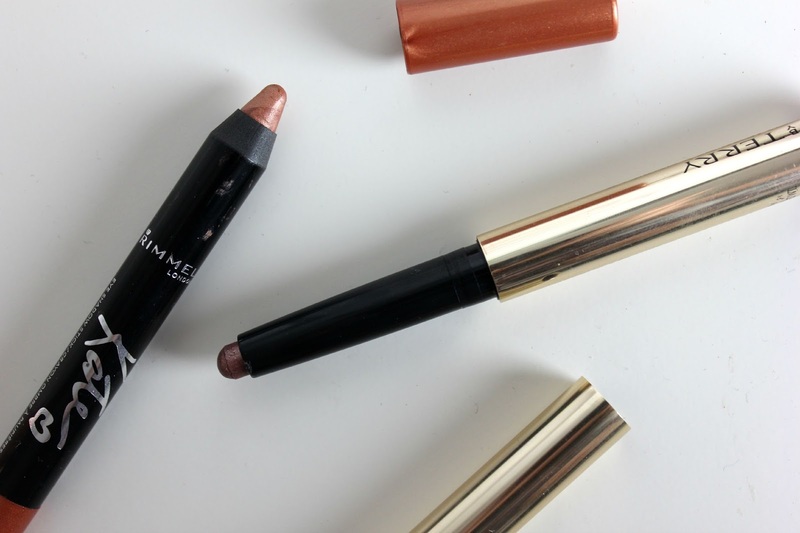 Two favourites are the Rimmel Shadow Sticks, of course in the Kate Moss Rose Gold Shade, but they're also almost wet in the feel of them. Once they've had chance to set, they're another product that doesn't move, I do prefer this sheered out as it has got more of a frosty look to it when built up. A higher end option is the By Terry Ombre Blackstar, unlike the Rimmel one I don't mind this one sheer or opaque, its got a beautiful shimmer to it and once paired with a shadow over the top, your eye makeup isn't going to slip around, it won't even if not powdered too. Its quick to set and they have a good shade range, compared to the Rimmel collection. Let me know what you'd like to see next in this series and I hope you've liked this instalment Congratulations if you've reached the end too! I didn't realise I had so much to say about eye shadow! haha. This is such a helpful read - I don't use eyeshadows enough to know what I should use for each bit, so this is really helpful! I'm such a big fan of pigments - however it's not because of the colours but usually because I find them a lot easier to blend into one another with a lot less arm work going into it. 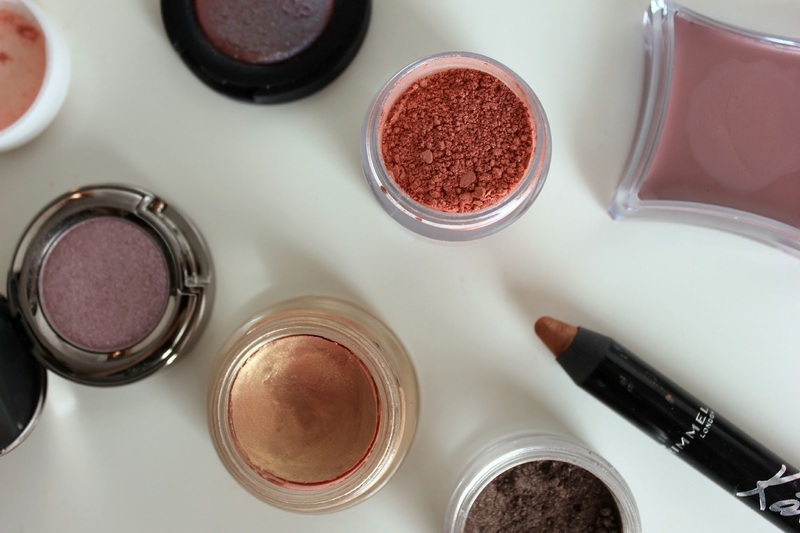 Lazy girls guide to eyeshadow for you right there! Oh goodness me, I had no idea there was this many kind of eyeshadows!! So great to learn what makes each of them worth using though so thanks for this post. Might try and venture out in my eyeshadow field - been wearing it a lot more recently after struggling to find shades that would suit me for so long. 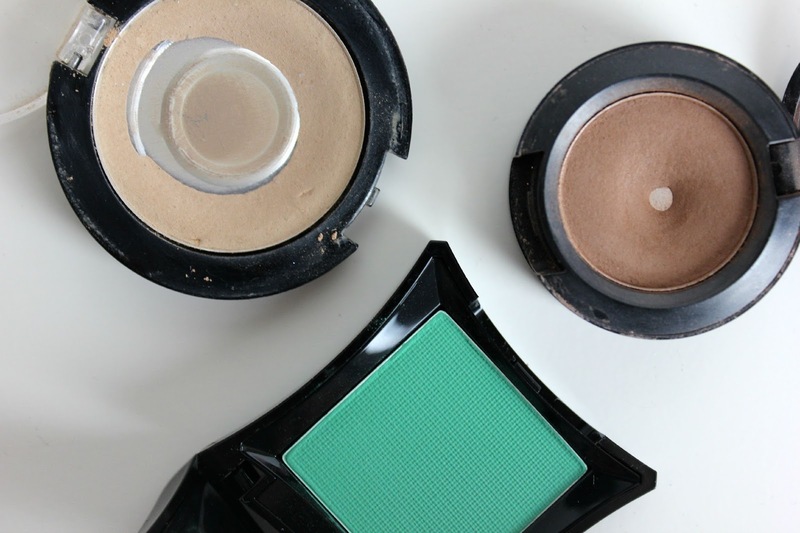 I love topshops chameleon glow, its perfect for putting ontop of eyeshadow to add a nice glow. My favourite eyeshadow type has to be cream, they're so easy to blend for an effortless everyday look.